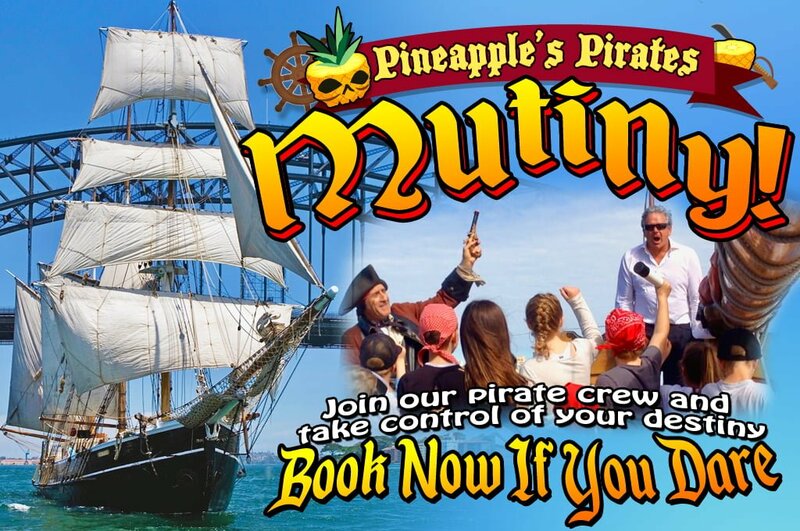 Come dressed as pirates and join Captain Pineapple and his crew aboard a real pirate ship Southern Swan or the magnificent Soren Larsen for the swashbuckling adventure of your life! This is an explosive, interactive theatrical experience aboard a historic sailing ship on Sydney Harbour. Take command, hoist the jolly roger, set sail, find the gold, fire the cannons – YOU will be an essential part of this story as it unfolds and you will help determine its outcome! Ninety minutes of action-packed fun for all the family! 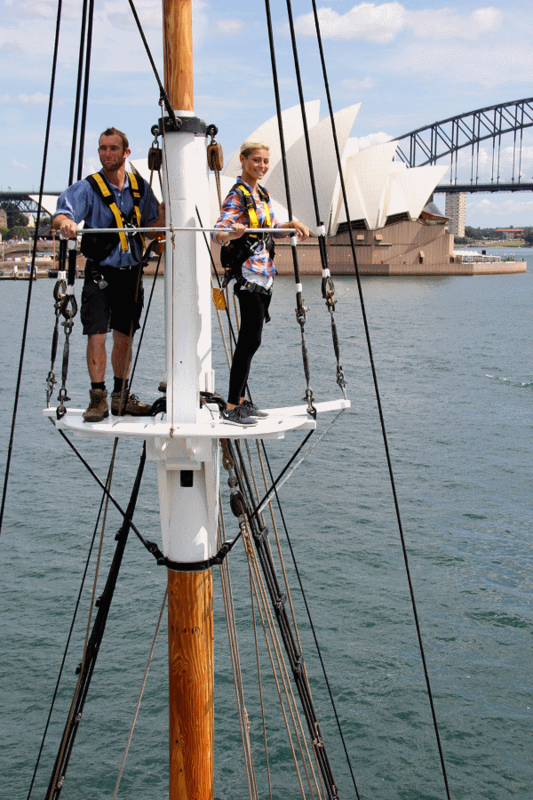 Bring out your inner pirate on our next scheduled Pirate Experience with Sydney Harbour Tall Ships! All our pirates are encouraged to get involved and help to set the sails – a truly unique part of any pirate’s life aboard a tall ship while searching for treasure and evading the law. Watch as the wind fills the sails and feel its strength carry the ship across Sydney Harbour. The moment the wind takes over and the sound of the engine fades away is like stepping back in time, an experience pirates across the ages have felt as they stood on a tall ship’s deck with their eye on the horizon. Of course even pirates get tired. So if heaving on a rope is not for you, simply find a comfortable corner with a view, relax and enjoy the entertainment provided by the crew, captain, chef and the barman – all of whom are at your service. 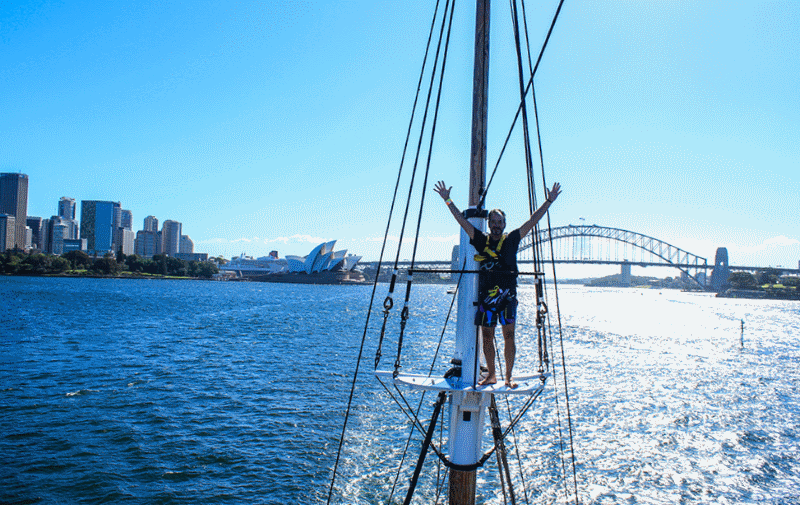 This unique Pirate Experience on Sydney Harbour is perfect for kid’s parties, corporate outings & team building. Be a pirate for the day! Join us for a fun and interactive theatrical experience! 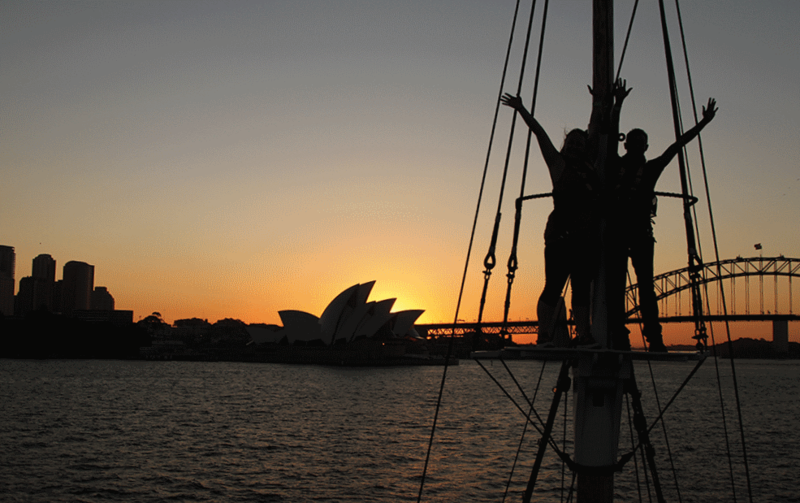 Add a Drinks Package for even more sparkle in your Sydney Harbour cruise. Make your Sydney Harbour cruise even better with a selection from our onboard bar. Our drinks package includes bubbly, wines, beers, soft drinks, juices and water (premium beers not included).